Are you ready for a trip of a lifetime? If you're like me, you want to leave knowing you saw the very best of a destination in the most authentic and efficient way possible. You want to leave with photos that capture all the best spots in the best light- literally and figuratively. So, why Best Itineraries? It's the most customizable itinerary. It gives you the most efficient trip- the exact amount of time you need to see the must-sees. (You have ten days in a place, this is what you have to do). You see everything in the best light and actually SPEND your time taking it all in and capturing the magnificence. The customizable part is the add-ons- full days that you fit in at the recommended point in the trip- the most epic excursions, backpacking tips, and hikes. Pick whichever appeals to you. The key to a great trip? A million tips from locals, other travellers, and RESEARCH. After living in New Zealand for six months, I consider myself a local and a traveler. I had months to hear recommendations from other travellers and friends, find all the best hidden gems and trails, and cover the ground as I was reading all the guide books and blogs. Have you ever looked at a list of the top 10 list things you HAVE to do in your destination and have NO IDEA how far away each place is, how you're supposed to get from place to place, and what else is nearby if you are across the world and on-the-go? 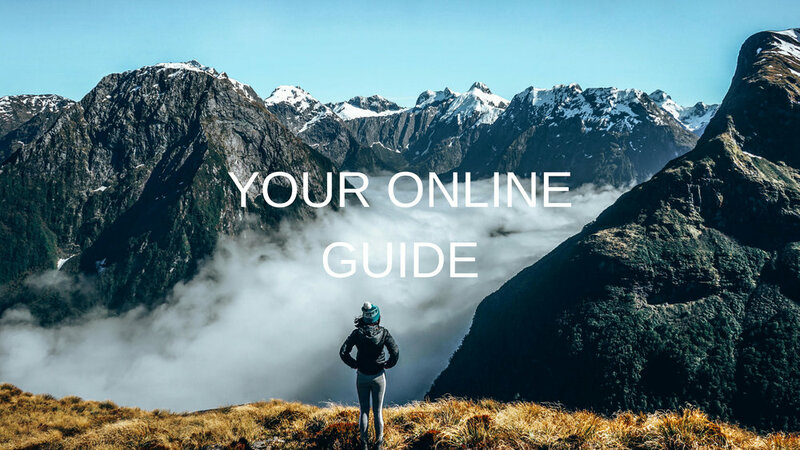 This guide is made for on-the-go travel and the maps I've created allows you see what hikes, scenic photography spots, and areas of interest are available to you when you arrive to a destination from a big picture map. When someone spends a week in a destination and shares their itinerary, I am hesitant. I want a guide from someone who has travelled there extensively. Having worked in Wanaka for three months and traveled the remaining three months, I created a 10-day basic itinerary with the MUSTS for a visit and the absolutely incredible and most worth-while additional activities that SHOULD be done if possible (the add-ons). You've come all this way to see a place, right? With this guide, you'll know what's available to inform your decision. Have any questions? Tricky situations? Let me know! I am always running scenarios in my head, trying to improve how the guide fits in with all travel situations. Ask me your questions and I'd love to help. Again- I'm your online local. Reach out! I provide photography opportunities for sunsets and sunrises and I'll give you a nudge when it's 100% required or if it is worth it to budget additional days when it doesn't turn out just right. I'm Mikaela and I'm obsessed with curating epic travel itineraries. 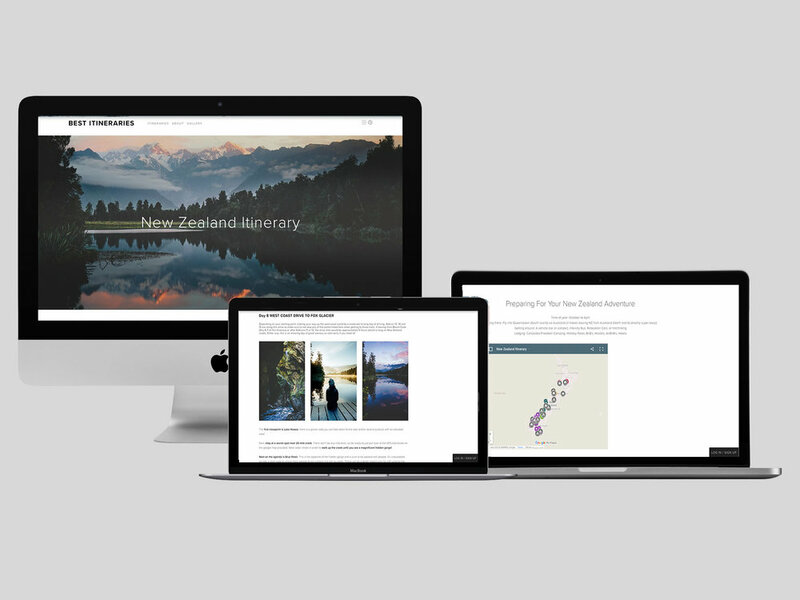 I am committed to making itineraries interactive and customizable because I found zero options for travellers who want adventurous and photogenic experiences that are authentic and based on local insight and opinions. Our comprehensive travel itineraries have a basic itinerary (the minimum number of days you NEED to see the must-sees) plus the add-ons (full days that you fit in at the recommended point in the trip) to extend your trip so it is customized to you and your interests. Our purpose is to encourage more people to see incredible places on their own and feel confident that they had the most fulfilling and adventurous trip possible. Whether you're traveling alone or not, a photographer or not, or been here before or not, you will find value in the most efficient, authentic, and photogenic trip; fully customizable to you. You won't have to leave wondering if any time was wasted or if you missed anything. You will be fully aware of what is available and select add-ons as you go (or in advance), and quickly adjust based on weather, energy levels, etc since everything is at your fingertips.